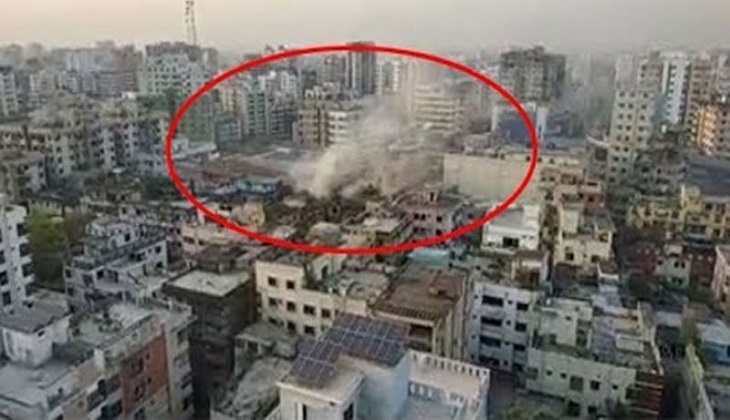 The incendiary that broke out at the 'Anarkali Market' in the capital's Mouchak area has been doused after a frantic effort of seven firefighting units on Saturday afternoon. The fire originated from a warehouse of foams at the third floor of the five-storey building around 5:20pm, witnesses said. Kamrul Hasan, duty officer of Fire Service and Civil Defence Control room, informed that seven firefighting units rushed to the scene to extinguish the fire. Witnesses suspect that the fire might has been originated from an electric short-circuit. The damage incurred from the fire incident could not be ascertained yet.